This is the story of my encounter with the legendary trumpeter Bobby Hackett. But let me back up. At Pearson and MacDonald, the Boston advertising agency of which I was a principal, we were always traveling back and forth to New York City, which was where we did much of our broadcast production. One day, my partner in the business John Pearson came to me. “Hey, you’re going to New York tomorrow?” “I am.” I said. “Do me a favor?” he said. ” Would you mind taking my trumpet to Giardinelli’s? It’s an instrument repair shop.” I told him, “Sure!” and the next day, I found Giardinelli’s in New York and dropped off John’s horn. Couple of weeks later, John says, “Hey, you’re going to New York, right?” “I am, ” I said. “I got a message my horn is ready,” he said. “You mind picking it up?” “No problem,” I said. So the next day, with my New York business done, I picked up John’s horn at Giardinelli’s, grabbed a cab and headed out to LaGuardia to get on the Boston Shuttle. So here I am, at a nice window seat, with John’s trumpet, in its case, under the seat in front of me. 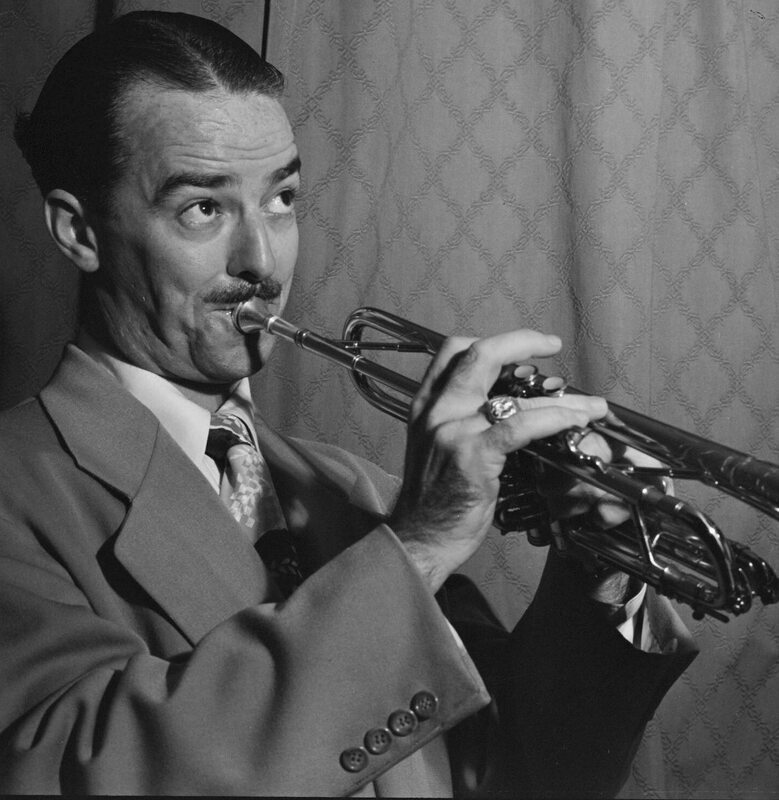 I glance across the aisle, and who do I see sitting at the window seat on the other side but the famous trumpet player Bobby Hackett. Wow! I thought. That’s kind of fun. He must have a gig in Boston. As I mused about this, I started thinking: If I’m right that he’s on his way to a gig in Boston, I’ll bet anything he’s got his horn in a case under the seat in front of him. Which means that when we land at Logan, he and I are going to come face to face as we move onto the aisle, each of us holding a trumpet case. “Hey, man!” Bobby says to me. “So, you working in Boston tonight?” I asked him, looking to make conversation. And then: “Where are you playing?” he asks me. As we walk down the plane’s aisle together, I go into my whole explanation about how it’s not really my horn, I was just picking up my business partner’s horn at Giardinelli’s, and yada, yada, yada. I think maybe Bobby’s eyes glazed over. “So where are you playing?” he asks me yet again. “A place called the Fairway in Concord,” I answer this time. Which was true. But of course I was playing drums on the gig, not John Pearson’s trumpet. “Oh, yeah, I’ve heard of that place,” he said. I wonder if he really had.